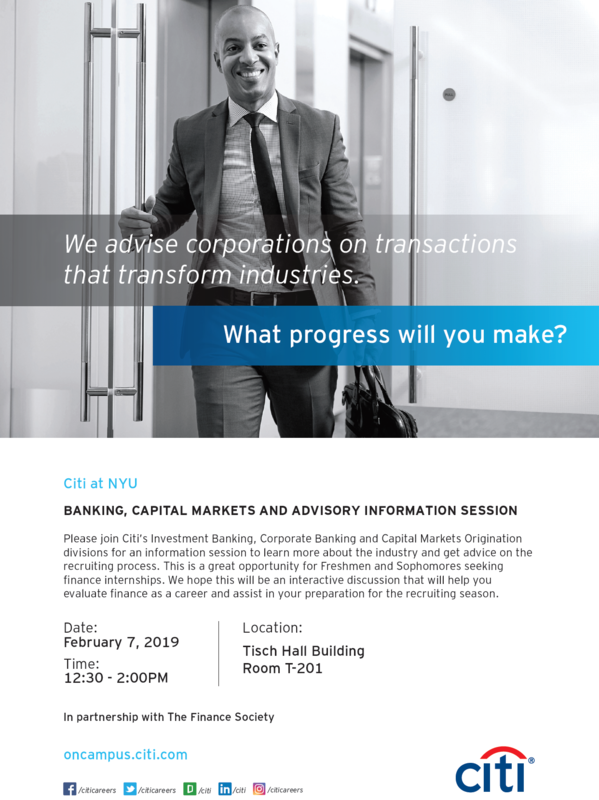 Join us as we host a panel of Citi professionals from their Investment Banking, Corporate Banking and Capital Markets divisions to hear their perspectives on the industry, firm and life of investment bankers. This will be followed by Q&A and a networking session. Lunch will be served. Click here for more information. Located in T201.